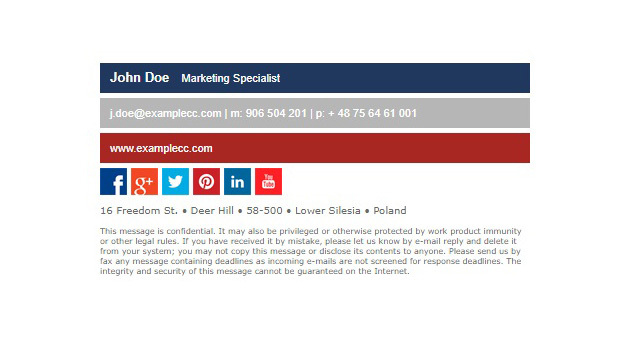 If you need an email signature template that will include links to your social profiles, take a look at this signature design. The zip package includes the HTML source code and social media graphics. Use the Download signature button below to get this template for free.